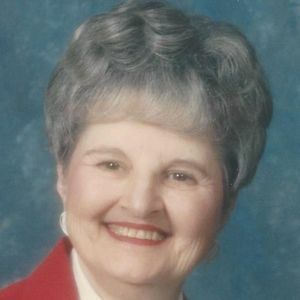 CENTRAL CITY – Hazel Louise Frymire Wade, age 89, of Central City, died Sunday, April 30, 2017, at Owensboro Health Muhlenberg Community Hospital. Mrs. Wade was born January 12, 1928, in Paducah. She was preceded in death by her husband of 48 years, James Leslie Wade; her parents, William Randolph Frymire and Lucille Jolly Frymire Bailey; sister Margaret Camp; brother William Randolph Frymire II; granddaughter Kathryn Elaine Staples; and son-in-law Dennis Staples. Mrs. Wade was a homemaker who enjoyed reading, playing the piano, antique shopping, and was an excellent seamstress and quilter. She was a member of First Baptist Church of Central City. She is survived by daughters Randa (Richard) Richey of Central City and Margaret Staples of Hermitage, TN; son Stewart (Linda) Wade of Greenville; grandchildren Tracy (Bill) Gutsche of Owensboro, Beth Staples of Las Vegas, NV, Leah (fiance' Ray Ippolito) Wade of Bethesda, MD, Jenny (Jody) Richmond of Henderson, Adam (Beth Morgan) Wade of Danville, and Erica (Josh) Richardson of Louisville; and great-grandchildren Braxton, Leslie, Haleigh, Lane, Sasha, Lincoln, Logan, Maya, and Elliot. Funeral services will be Saturday, May 6, 2017, at 1:00PM at Tucker Funeral Home in Central City, with Rev. Chase Thompson officiating. Burial in Rose Hill Cemetery. Visitation will be Saturday after 11:00AM at the funeral home. Expressions of sympathy may take the form of contributions to Gideons International. Online condolences may be made at www.tuckerfuneralhomes.com. My mother and father (Rosemary and Wayne O'Keefe) were friends with your parents many years ago. I was little and we came to central city to see your family. I believe Randa was about same age as my sister Becky ( she passed away in 2011) and Stuart was possible close to same age as my brother Mike. I'm the youngest Patty. My mom talked to your mom about 5 years ago and had a wonderful catch up talk. Randa and Stuart , I am so sorry your Mom is gone. You and your family are in our prayers. Sorry to hear of Mrs. Wade's passing. Prayers fkr the family. We are so sorry for your loss. Our hearts go out to each of you, and our thoughts and prayers are with you. Randa and Stuart So sorry to learn of your Mother's death........what I will ALWAYS remember Ms Hazel for is her Beautiful Smile and Laugh !!!!! Thanks God for "Memories"....Sending much Love and Blessings & Prayers !!!!!!! The memory of your parents mean much to me as they were always extremely supportive of everything we tried to do as a church. I felt their interest and their prayers throughout my ministry there. Deepest sympathy Kernal Wade, Adam, Linda and the rest of the family. I'm so sorry for your loss. Peace be with you! Praying for you and your family Margaret, with my deepest sympathy..